Microsoft has acquired GitHub for 7.5 billion dollars in actions. First reported by Business Insider, followed by Bloomberg, the acquisition was officially announced on June 4. Launched in 2008, the GitHub platform has become an essential tool for developers to store and share their code. A keystone of the open source movement, it allows people to download the source code from a number of projects, modify it and submit a new version for validation, making the collaborative development process visible—according to the Git version control system, developed in 2005 by Linus Torvalds (father of Linux, the free operating system). GitHub counts 27 million users and more than 85 million projects, making it the largest code library on the Internet. Eventually, the platform grew beyond the scope of open source software for individual developers, attracting big companies such as Airbnb, Facebook, Google, Paypal, Spotify, IBM and Microsoft. But GitHub lost 66 million dollars in 2016, reports Bloomberg, and was having difficulty finding a new leader. “Microsoft is a developer-first company, and by joining forces with GitHub we strengthen our commitment to developer freedom, openness and innovation,” commented Satya Nadella, CEO of Microsoft. Nonetheless, the news has raised concerns within the community of open source developers, historically opposed to the giant of proprietary software publisher. Some recall former CEO Steve Ballmer referring to Linux in 2001 as a “cancer”. Nadella, however, has promised that GitHub will continue to be managed as an independent company. "This GitHub repo has been updated, would you like to restart now or be reminded in an hour?" The only concern I have over @Microsoft acquiring @github is eventual tighter alignment with @linkedin, further skewing the importance of work outside of work in the hiring process. Richard Stallman (who initiated the free software movement with the GNU licence), didn’t wait for the acquisition to accuse GitHub of selling out, according to his own ethical vision. “GitHub does things that are quite bad for free software and is not interested in changing them,” he wrote on his site in 2015. GitHub “requires users to run nonfree programs [and] encourages bad licensing practices”, he cited as examples. Will the acquisition lead to a massive migration of repositories from the open source platform? The announcement may spook GitHub users, even if many observers have pointed out that Microsoft has already embraced open source in recent years, especially since Nadella took the reins in 2014. Indeed, in 2014 Microsoft declared its love for Linux and made its .NET platform open source, and just this past April, announced the launch of Azure Sphere, a chip developed for the Linux operating system. 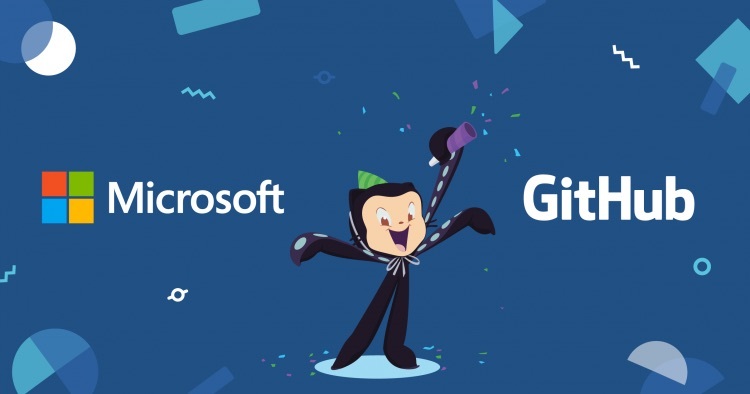 Moreover, Microsoft is one of the main contributors to GitHub—Visual Studio Code, an extensible code editor developed for Windows, Linux and Mac operating systems, is among the most commented projects with more than 30,000 contributions. Still… will all this be enough to reassure the community? French geek blogger Korben says he “completely understands the concerns of some GitHub users”, while reminding us that “we are still in the fairly simple configuration where a private company buys another private company”. GitLab, GitHub’s competitor, announced 10 times more traffic than usual to its site since the announcement and even set up a live Q&A to help disappointed free-software developers migrate to its platform. According to Motherboard, GitLab has gained 50,000 new projects since the acquisition was announced.